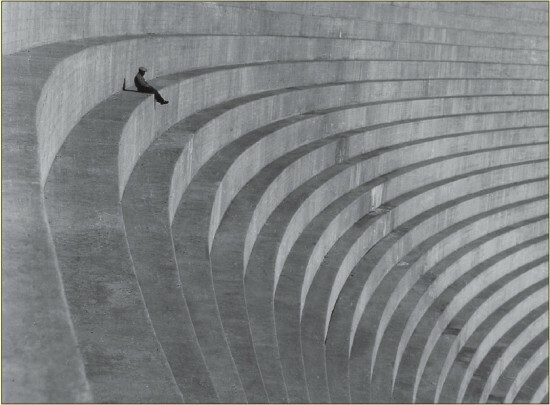 “The Thinker” by Hiromu Kira, circa 1930, is among the photos recovered by Dennis Reed. GLENDALE — On Thursday, March 28, the Glendale Central Library will host a presentation and book-signing with author and L.A. Valley College professor of art Dennis Reed, who has been on a 30-year quest to recover and compile lost work by Japanese American photographers who were incarcerated during World War II. Reed’s project to locate the work of the entire community of prewar Japanese American photographers first gained national prominence in the 1980s as he tracked down several of the surviving artists and their previously lost photos, and his catalogue remains the standard on the subject. The event begins at 7 p.m. and will include limited availability of “Japanese American Photography,” self-published by Reed, who will sign copies after the presentation. The event is free to the public, with validated parking across the street at the Market Place. The library is located at 222 E. Harvard St., Glendale. For more information, call (818) 548-2030.